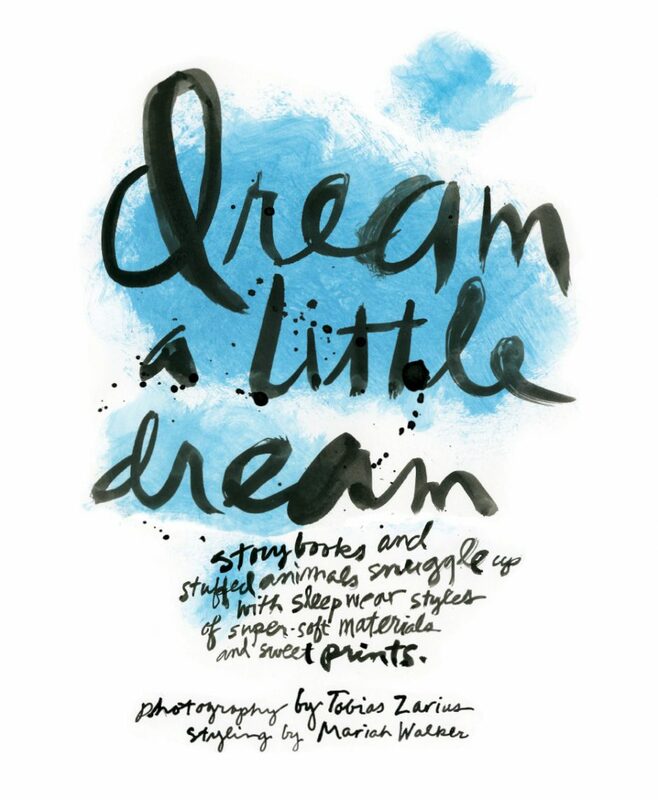 Storybooks and stuffed animals snuggle up with sleepwear styles of super-soft materials and sweet prints. Photography by Tobias Zarius. Styling by Mariah Walker. Photography assistant: Dominique Marie. Shot at Blow Up Studio in Paris. 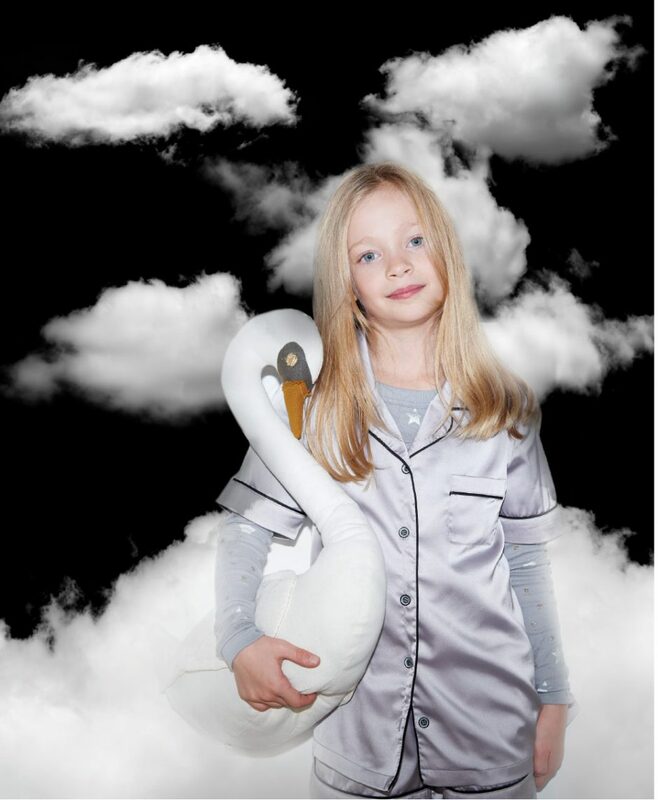 Ambre wears Skylar Luna starry pajamas underneath Katie J NYC lounge top and holds Numero 74 plush swan. 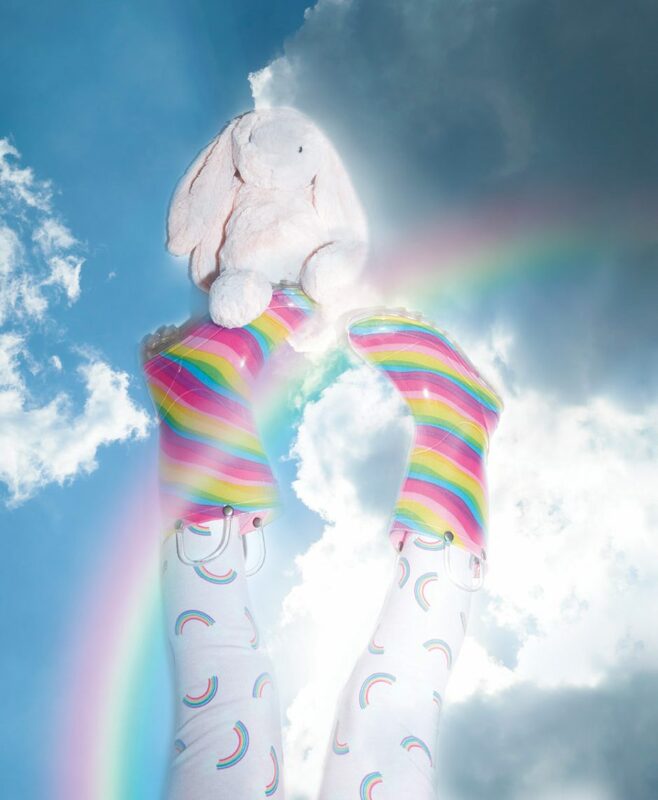 Western Chief rain boots with same rainbow pants and bunny as adjacent page. 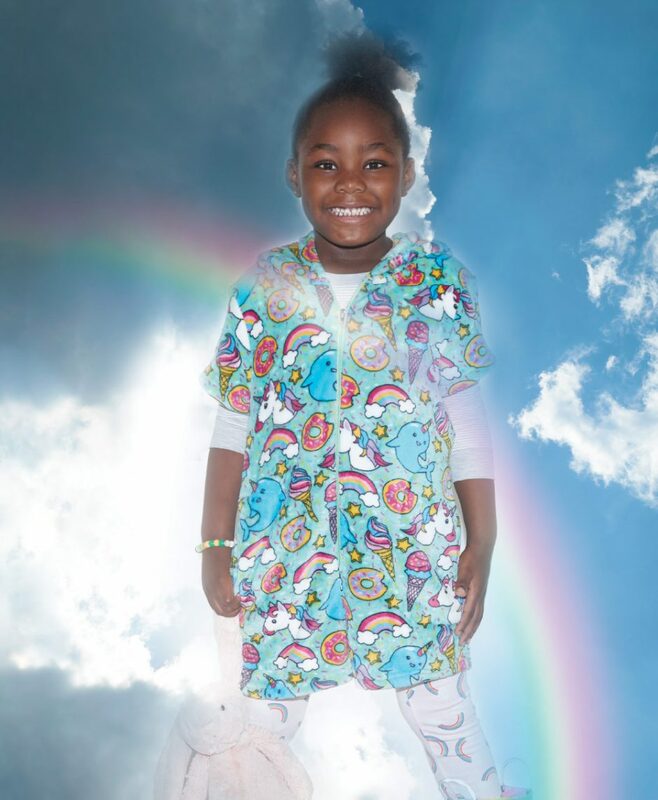 Ayana wears striped pajama top by Kissy Kissy underneath Candy Pink shorts one-piece with Esme rainbow pajama pants and plush bunny by Jellycat. Ismael wears Bedhead Pajamas map-printed top and bottom and Jonas Paul glasses with Numero 74 plush octopus on his head. 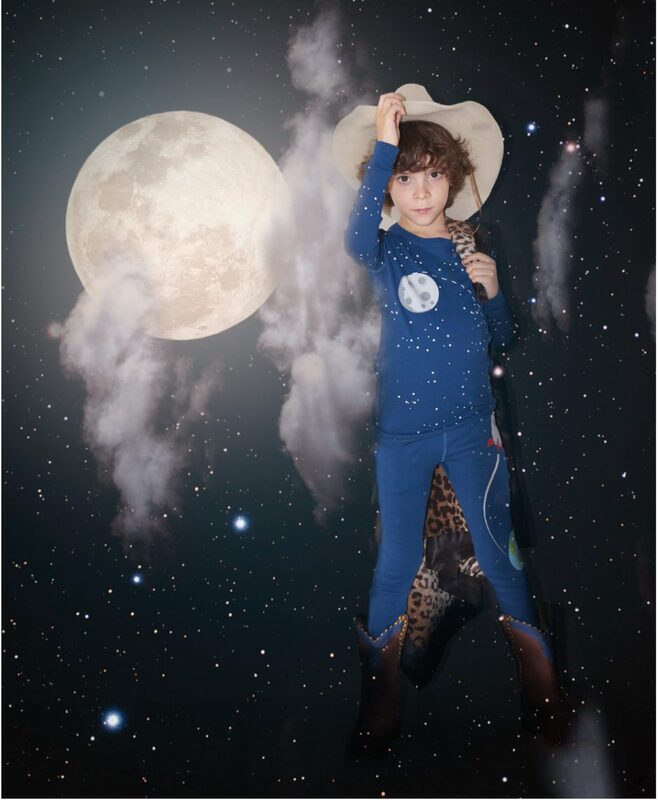 Julian wears Meru pajamas, Miron Crosby cowboy boots, vintage cowboy hat and holds LIttle Giraffe leopard blanket. 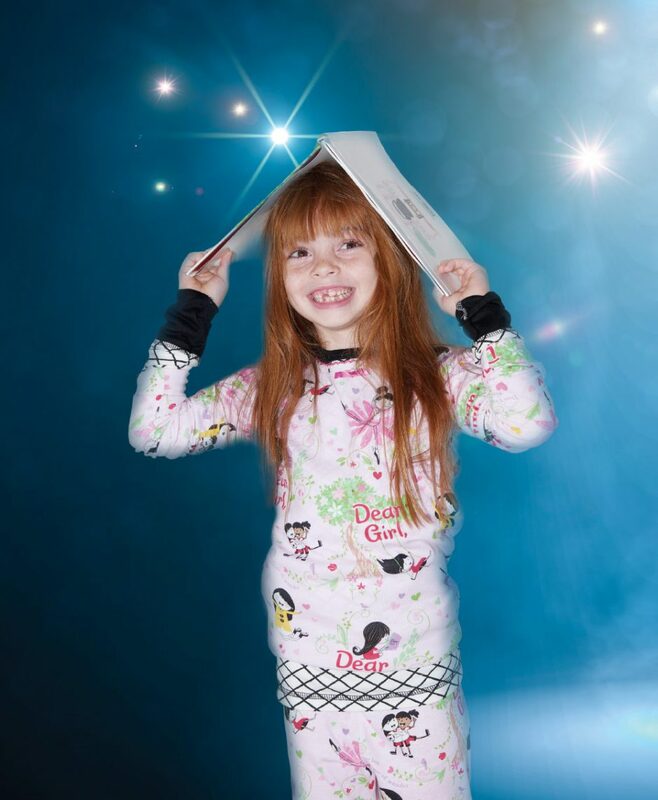 Manon wears Coccoli black-and-white pajama top underneath Books to Bed sleep set and holds coordinating Dear Girl book. 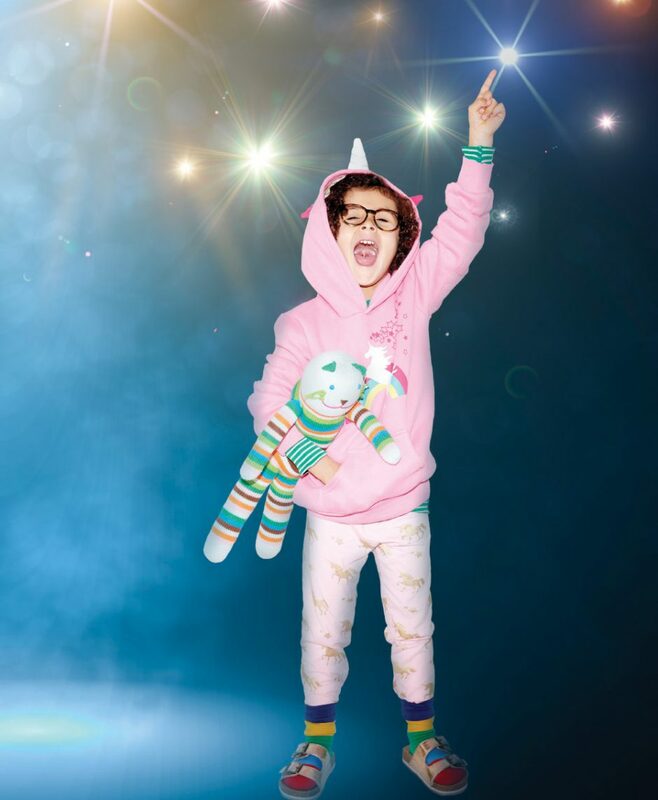 Eva wears striped Skylar Luna pajamas underneath Doodle Pants hoodie, Sara’s Print pajama pants, Jonas Paul glasses, Blabla Kids plush, Fun Socks socks and Bearpaw slides. 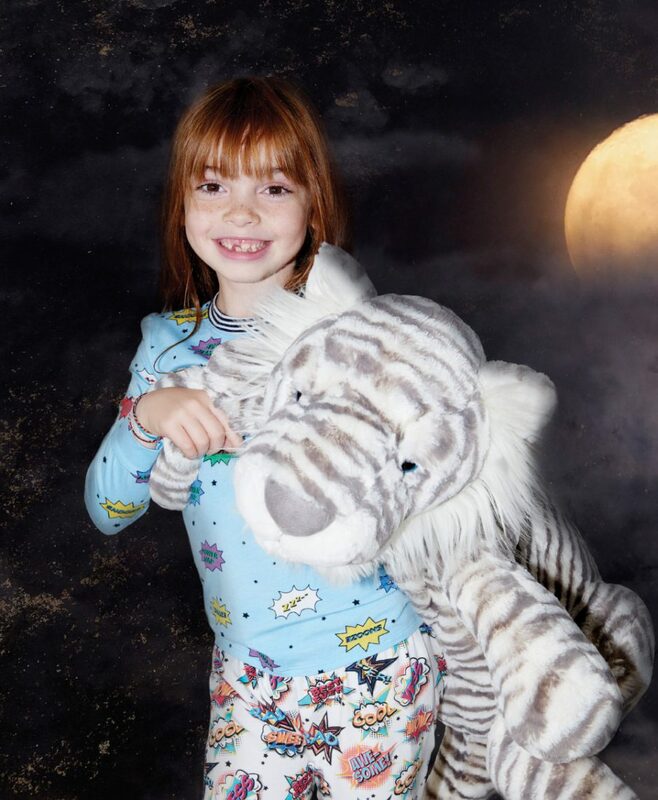 Manon wears Esme top and Peregrine Kidswear bottoms and holds Jellycat plush tiger. 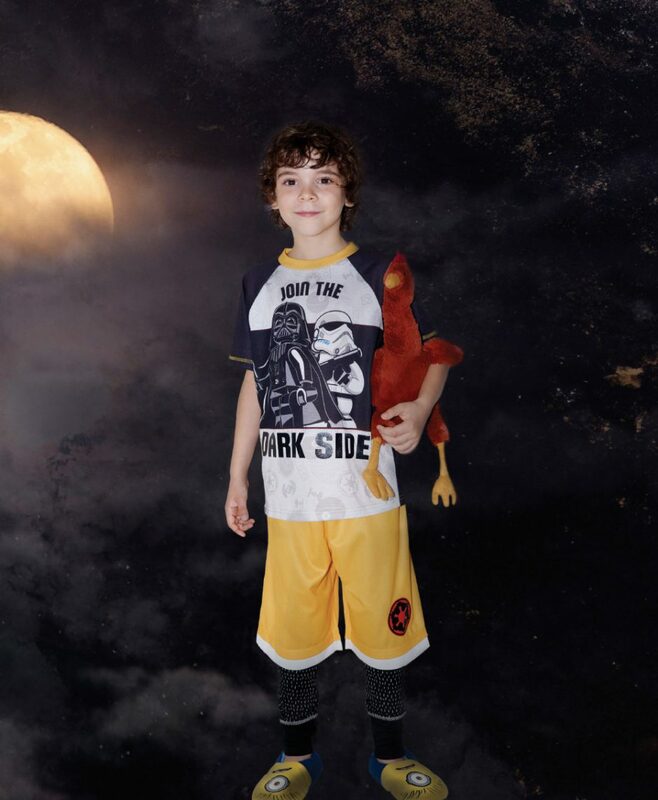 Julian wears SGI Apparel Star Wars top and shorts, Coccoli pajama pants, Fuzzy Babba slippers and holds Jellycat plush chicken.